This is a Book! 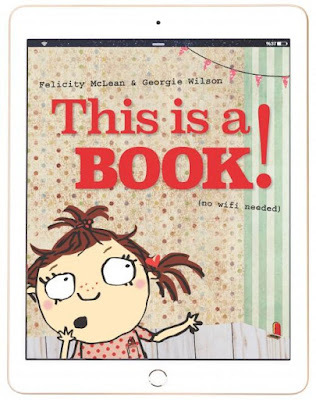 (No Wifi Needed) is a fun story about a little girl’s discovery that her book is a book and not in fact an iPad. There is no ‘on’ button. There is no volume control. It’s not linked or synced and you have to actually turn the pages. Everyone else in the little girl’s family seems to enjoy books, and she soon discovers there are some very cool things about them. Like getting to read by torchlight under a blanket and those amazing places you can go with THOUSANDS of books available to explore (wink wink). With cute and quirky illustrations by Georgie Wilson, This is a Book! 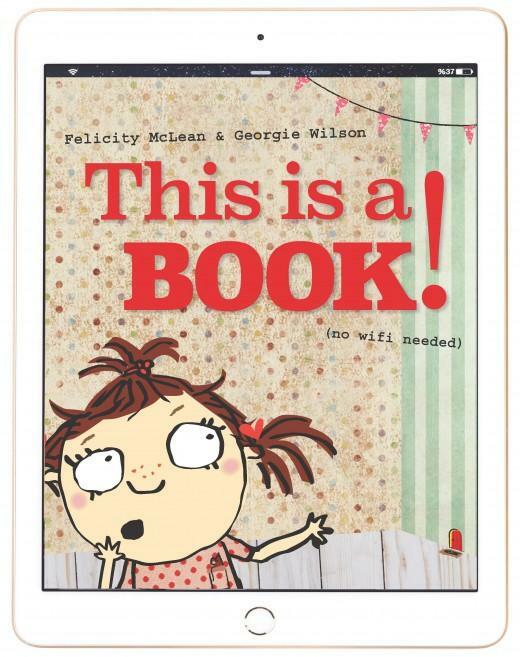 (No Wifi Needed) is a celebration of story time while also recognising kids today do have a strong love of gadgets. It’s a great conversation starter and a reminder to kids that just because technology forges ahead, and there are cool new gizmos to read on, books are still special and fun. A funny story both kids and adults will relate to, This is a Book! (No Wifi Needed) is sure to spark smiles and drag people into the paper versus e-reader debate. And with an awesome hardcover design that makes the book look like an actual iPad, it might even fool a few kids into thinking they’re reaching for a computer instead of paper pages.